The UK’s gender pay gap is gradually narrowing – but women still have some way to go to match the earning level of their male counterparts, according to a new report published by the Department for Education. Professor Wendy Olsen from the University of Manchester worked with colleagues Sook Kim, Dr. Min Zhang and Dr. Vanessa Gash from City University of London, to analyse responses from the British Household Panel Survey and Understanding Society. The researchers found that the pay gap declined from 19% in 2007 to 13.4% in 2015. The causes of the continuing decline have changed – part-time employment is now found to exert downward pressure on the pay gap, as more men are doing low-wage part-time work than previously (11.9%, up from 9.7% in 2007). There are also increased levels of women who have managed to negotiate a move to part-time employment with their current employer – their wages are on average higher than those who have a career break before starting work on part-time hours with a new employer. In spite of progress, UK women still earn an average of £1.62 less per hour. Olsen and her team attribute most of this shortfall to women doing fewer years of full-time work. Men in full-time employment were found to have longer full-time work-histories (17.8 years) than women (13.2 years), and tend to have had little exposure to part-time employment or unpaid care work. However, the report points out, 57p of the gap is ‘unexplained’, and the authors argue that this could be a result of differences in the behaviour of employers toward women, which result in a strong bias towards men in male-dominated professional and management roles. A recent Institute for Public Policy Research (IPPR) report found that women fall behind in seniority and opportunities for promotion due to having children – they call this the ‘motherhood penalty’ – and suggested that more flexible working should be encouraged to let men share parenting duties more fairly, as well as opening up senior positions to job sharing. 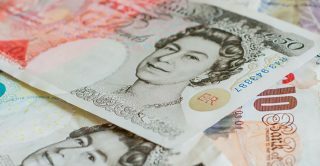 “Women are still hard done by – we know the gender pay gap fell in the UK, but it is still at 17% and women still face a gap after allowing for many other causal factors. While the most recent declines in the gender pay gap are welcome, they also need to be understood within the context of declining real wages,” said Professor Wendy Olsen.